Rising like a phoenix from the ashes of the world-famous dance punk group Joy Division after the suicide of legendary frontman Ian Curtis, New Order dominated a good portion of the eighties with their infectious songs and undoubtedly influential stylings (New Order were probably the most mimicked band at the point). Consisting of Bernard Sumner, Peter Hook and Stephen Morris for the first two albums, New Order became one of the world's premiere groups, among such acts as the Police and Blondie, all sort of in the same genre. Their first album Movement failed to catch on as quickly as Power, Corruption and Lies, but Movement was still a mourning album. An album that was too dark for radio audiences. 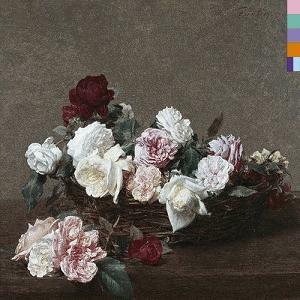 Forgetting the past wasn't easy, but New Order pulled it off and released the platinum-selling album; 1984's Power Corruption and Lies, an actually rather depressing record, though often thought of as a glad album, celebrating life. But below the surface is one of the darkest albums ever. It's still a mourning album, but just more subtle. The album has it's fair share of repetetive tracks, though there aren't enough to bring this album down. Of course, it's entirely over-rated sheerly for the fact that it has one of the most successful singles of the eighties on it (the powerful Blue Monday), which brought alot of people on to New Order's music. There are many tracks, however, that are better. For example, one of the strongest tracks on the album is We All Stand is a rather dark song, boasting mournful bass and synthesized guitars, as well as one of the few tracks on the album with actual drums, which actually is a rather impressive perfomance. The vocals are very slow and painful, expressing his pain of, well, you really can't make it out but it adds a great affect to the song. The song doesn't really change, but it's really nice to listen to, and does a decent job of showcasing New Order's darker side. Another noticable track is Leave Me Alone, which has sad bass filtered through an enjoyable filter and the guitar which is really a very good point on the album. Breaking from sullen riff to full out chords with suspension, which really fits the song brilliantly. The drums are real, though they have that drum machine affect to it, which is really interesting. Ending at a short 4:40, it leaves a good effect on the album. Though there's two versions of this song on the album. There's the vocal-included Blue Monday and the instrumental, harmonica free The Beach, which, in my opinion, is more enjoyable than the vocal one. Both songs reach over 7:00, which allows maximum freak-out dancing (which, unfortunately, died in the eighties). What else can be said except timeless" Maybe a tad over-rated, but what the hell it's a great song. There are only a couple songs that I don't quite like on this album. 5-8-6 is a boring song, and overly long, clocking it at about 7:30. There's nothing really good about the song. It's quite clearly a song that didn't have as much though put into it as most others on this album. A boring bass riff, a synthesizer, a lack of drums and an occasional annoying guitar fill really makes this almost unlistenable. Speaking of which, the next song that really doesn't leave a good impact on the album is the unexciting Ultraviolence which sports a never-changing/ending bass riff with an occasional Police-esque vocals (it's really not as good as it sounds), and an extremely boring guitar riff that just goes on and on. The percussion is acceptable, but again it's way too repetetive. Nothing else can be said, except that it could've been cut down about , well, at least two minutes, making it an at least decent length, making it more acceptable. 4:51" Hardly. It seems like a good 8:00, which is not a good thing. Most New Order epics are a good 6:00-8:00, but at least they are entertaining. There you go, a brief outlook at one of the eighties most influential albums, a medley of bass hooks, chanting vocals, mourning guitars and drum (machines). Sure, it's dark, but it helps you get to feel the pain that they're feeling, even a couple years after Ian Curtis' death. But one thing can be sure; Ian sure as hell would be proud of New Order. Great Review, I haven't heard much from the album though, with the obvious exception of Blue Monday. I'll probably check it out. This is a really good review. I agree with Sylvia - you get better and better with each effort. Keep it up! This is possibly my favourite New Order album though I haven't given it much thought. I usually adore 3-4 songs from each album and couldn't care less about the rest. Which is why I usually find myself listening to their Greatest Hits rather than their albums, of which I have a few. I really need to pick up Substance though, I think it might be my best bet in terms of overall quality. This review is good stuff but the quote was unneeded. I've heard a few New Order songs without really knowing about it, I suppose they were enjoyable but I dont think I'd actually go out and buy one of their albums. Well, gosh. Thanks alot, guys! Brilliant album, but the album sounded better without "Blue Monday" and "The Beach", ie the British release, because "Blue Monday" is so similiar to "5 8 6"
Cool review, but wasent Gillian Gilbert playing synth with the band at this time? And I think you really should of mentioned The Village and Age of Consent. Other than that, pretty good job. My favourite off the album is probably Leave Me Alone. I love how the bass and guitar compliment eachother on that tune. And yeah, this must be the American tracklist. Blue Monday is the greatest dance song ever made. And Leave Me Alone is utterly gorgeous. Possibly their best song. No, their best song is the 7" version of "Confusion". one of my favorites to smoke to. You smoke to New Order? That's pretty tough.